Ashley’s classic frame, reminiscent of an earlier American era is at home in any current design. A perfect addition to any room, Ashley’s wood frame back showcases fabric from each side. The comfortable lumbar not only offers support, but can also be ordered in matching or contrasting fabrics for a unique look. * Our furniture is hand crafted. Measurements are approximate due to variation in padding and fabric thicknesses. 1000’s of designer fabrics available. 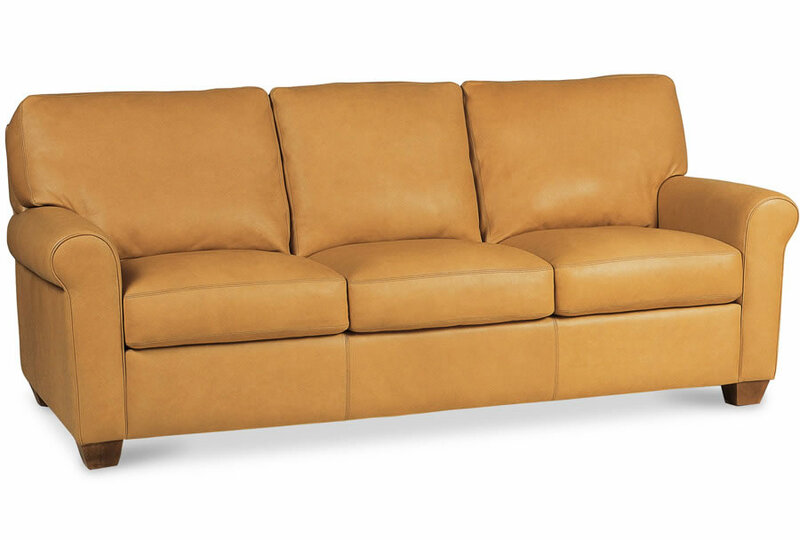 The Linkin Collection features a contemporary track arm, two-cushion styling, and the option to add nailhead trim. Extra-deep seats add to the overall comfort. Available in multiple configurations. Option to add nailhead trim around back frame and base. 1000′s of designer fabrics available.